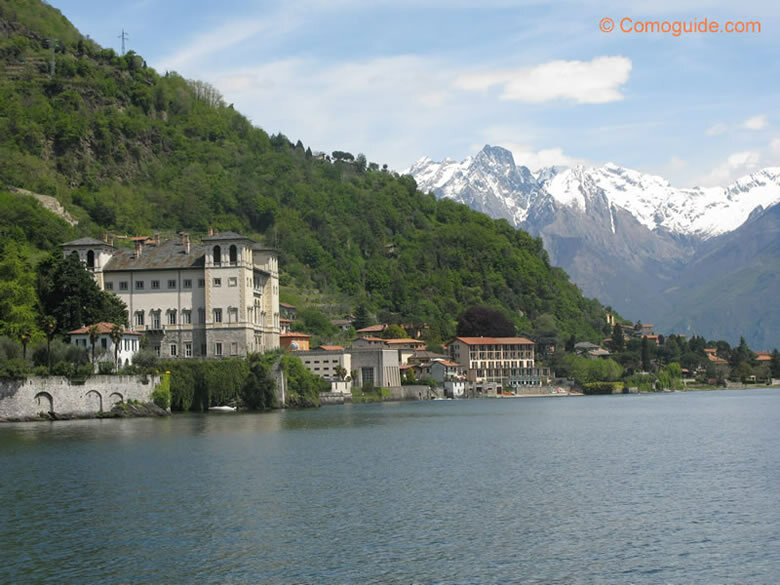 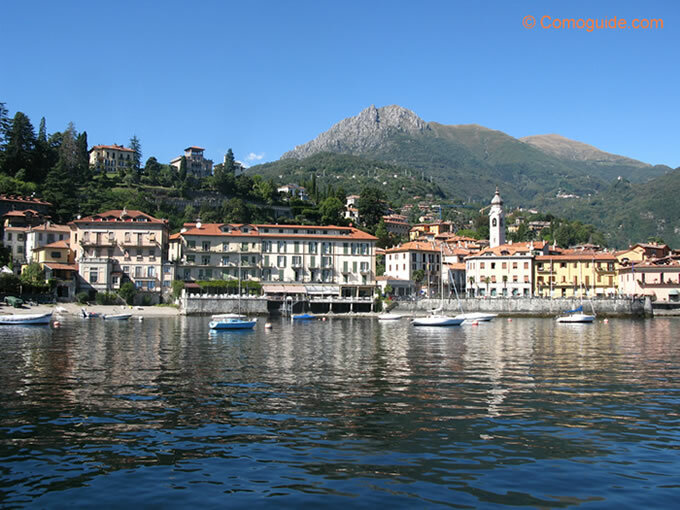 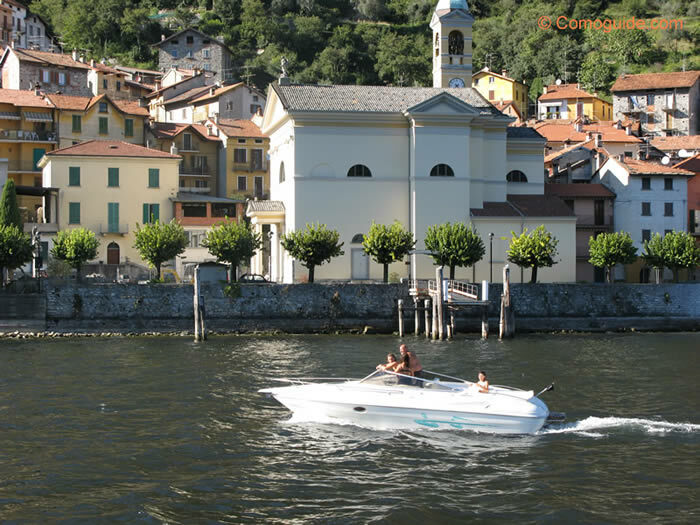 Here are Lake Como pictures and photos of the most charming and elegant towns. 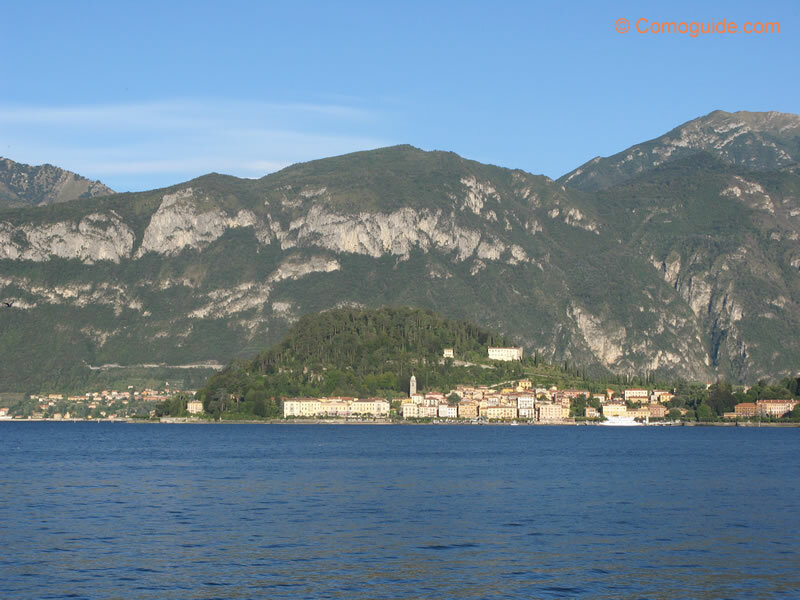 Some towns look best from a ferry-boat, others look best from mountain peaks. 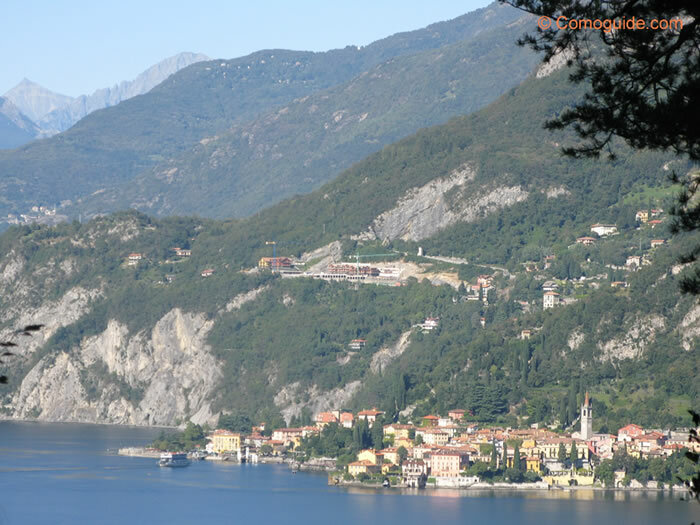 Depending on the town, you can enjoy lakeside breezes, panoramic views of the lake and great opportunities for morning walks or afternoon hikes. 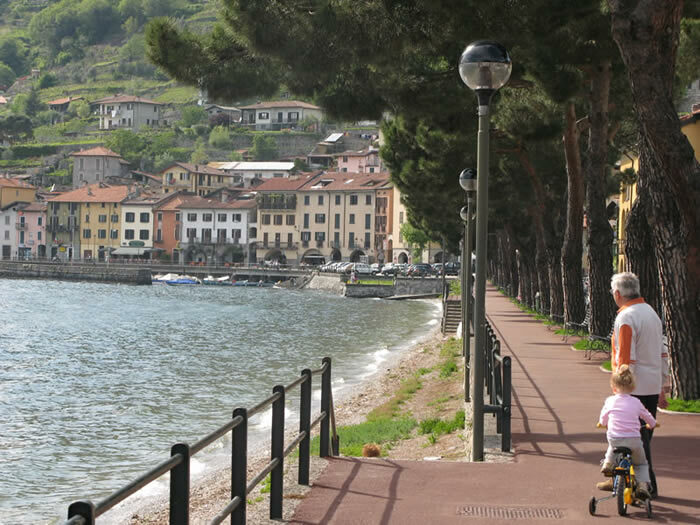 You can click on any photo to open up a new window with a higher-resolution image. 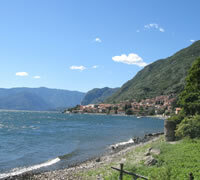 Note: Be sure to disable any pop-up blockers in order to open the new window. 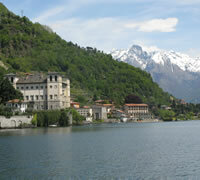 The looming and historic Palazzo Gallio emerges from the lake in Gravedona, Italy with snow-covered Alps in the distance. 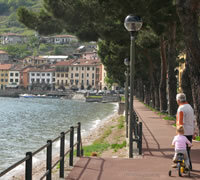 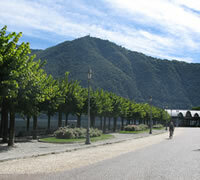 The lakeside promenade in Domaso, Italy located in northern Lake Como. 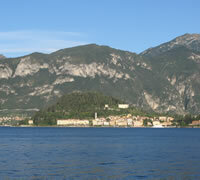 A view from the ferry boat approaching Menaggio, Italy with Monte Grona in the distance. 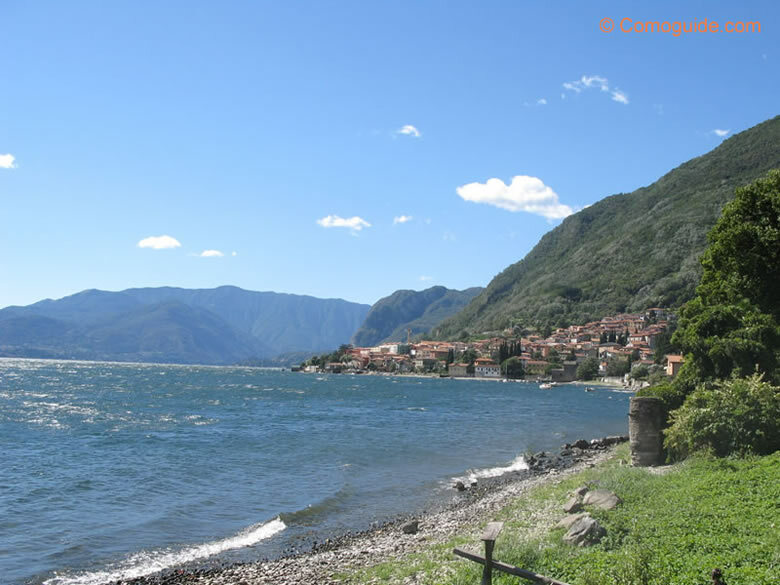 Narrow streets, winding roads and charming churches make this tiny town near Sala Comacina very special. 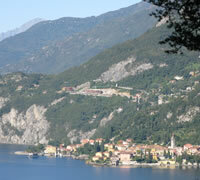 A nice view of Varenna, Italy from the top of Bellagio’s promontory. 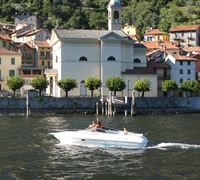 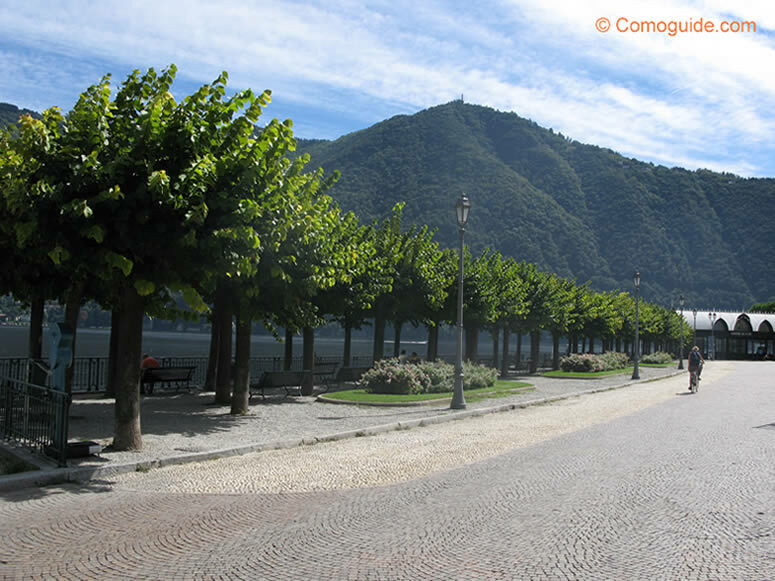 Peaceful stretches of trees waving gently back and forth thanks to Cernobbio’s lakeside breezes. 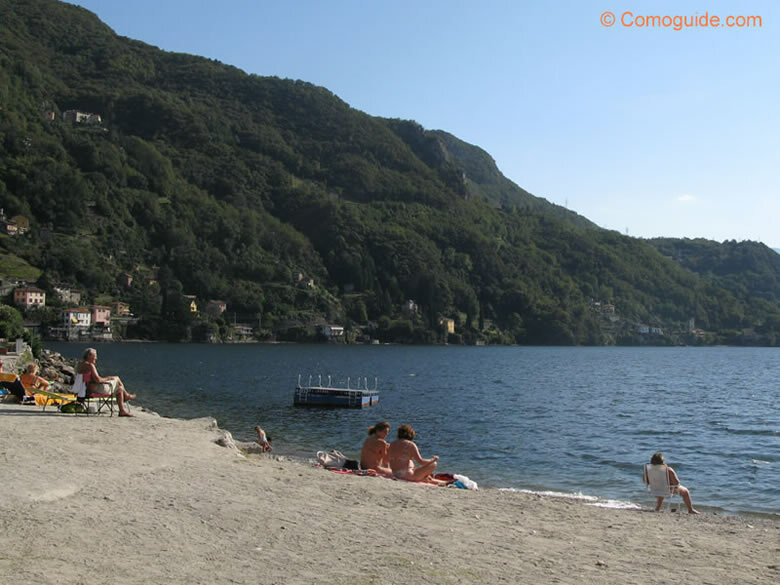 People sunbathing on an intimate beach in Bellano, Italy. 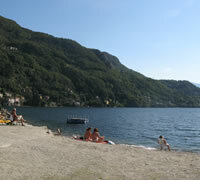 Almost resembling the Italian Riviera, San Siro offers its residents and guests peaceful waves and pebbled beaches. 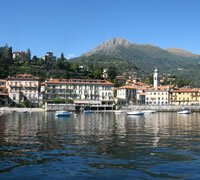 One of the best panoramic views of Bellagio, Italy is from Villa Carlotta in Tremezzo.